Blitzworld are the biggest kit-Car buggy manufacturer in the UK and we design and build a range of buggies and 4x4 vehicles for On and Off road use. We also import a small range of ready to drive buggies. All new imported buggies are modified by Blitzworld and we test them on our track days, and if they are not up to the job we don’t sell them. We give all our NEW vehicles our own Blitzworld One year parts & labour warranty. Blitzworld are based at the Railway Enterprise Centre in Stoke-on-Trent, this is an old railway shed that has being modified to workshops. At our Stoke base we have a large showroom where you can come along and see the buggies and have a test drive. We also have an off road track to put the buggies through their paces. Also we design, manufacture our own range of high end buggies and we build / modify imported buggies, do repairs, alterations & modifications, insurance work, upgrades, servicing and MOTS. 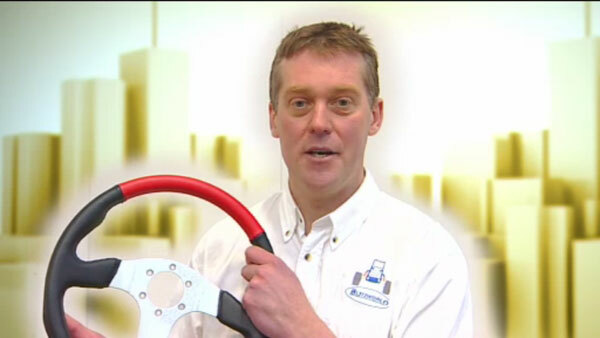 We have filimed with the Gadget Show now on 3 occasions, and we have also appeared on ITV, "Be your Own Boss", click on pictures below to link to link to film clip. We have also built special projects for the MOD (4 wheel steer buggy), and the Shell 2009 eco car. Blitzworld has a range of vehicles including Kids buggies, available in flat pack or ready built to go. In 2005 we launched the very popular and successful Murray Kart, which sold over 1600 units, and then later replaced with the Blitz Kart (Honda Engine) which also sold very well with its more powerful 200cc engine and disk brakes. This is now replaced with an electric starting Quadzilla 150cc Midi RV, and the spider buggy. which are electric start and both come with Blitzworld 1 year warranty. We currently stock all the parts to our current range of buggies. We also design and manufacture parts that are no longer available for other models of buggies. We have our own fabrication and welding shop to cater for any modifications that may be required, from moving seat positions to building a complete vehicle. We also have second hand parts available for our range of vehicles, please call for details. We undertake all types of repairs including none Blitzworld vehicles, if it’s from finding a part or making a new axel from scratch, we have design and manufacturing facilities available. We also undertake insurance repairs in association with the insurance companies. We currently have several venues around the country that we use including Cheshire, Staffordshire and North Wales and we have also used the famous Sweetlamb complex in Wales. On a Blitzworld track days you can bring your own Blitzworld buggy or hire one of our buggies for the day. Log onto to our newsletter for updates for the next events.